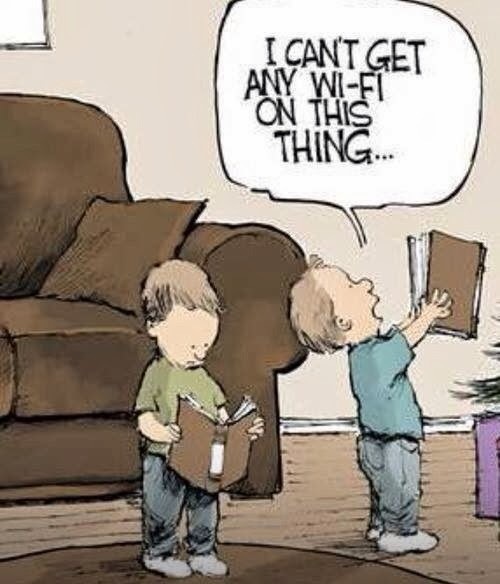 Tablets are everywhere these days. I was in a restaurant yesterday and one couple had a kid watching a show on a tablet, the man never looked up from his phone, and the woman mostly looked bored and annoyed. At another table, three tablets, one for each teen / preteen at the table, parents heads down with their phones. Is technology becoming too easy? Something I may need to explore in a future post: How does the Digital Age impact leadership?